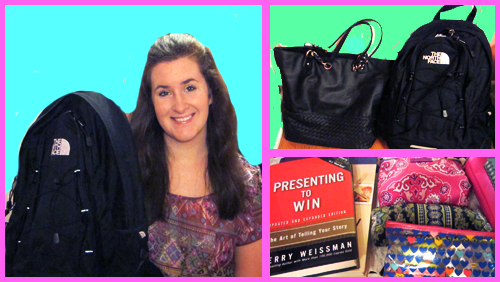 Glamoration: What's in My Back to School Bag? 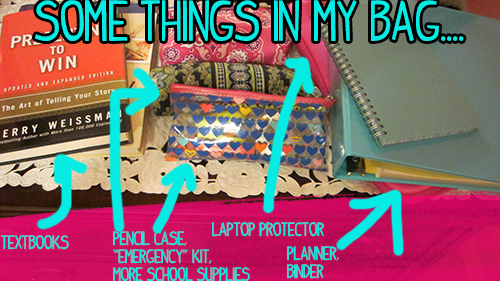 What's in My Back to School Bag? With school starting it has been requested many times for me to do a What's in My School Bag video. As mentioned in the video, I tend to switch off between my North Face Jester Backpack and my Deux Lux Bag. I tend to carry a lot of things in my backpack because I am often at my college for long periods of time. However, I keep it all organized with different pouches. In the future I want to create a picture like this, I love the set up. If you're unsure of what to put in your bag, you can always check out Pinterest or YouTube for ideas! Share in the comments what's in your bag! What I like about your blog is its straight-forwardness and a tang of positive ambitiousness. The way you presented your bag and compared it ti the others are quite humbling. I saw your other posts and I must admit that you have such good tastes in dresses and clothes. That northface jester bag and Deux Lux Bag are what gave me a laugh though, a girly girl stuff for the shoulder bag!